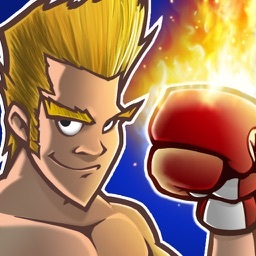 BEST BOXING GAME ON THE APP STORE!! READY FOR AN OLD FASHIONED BEATDOWN? As the K.O. 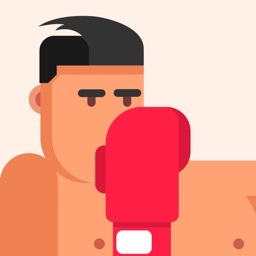 Kid, you return to the ring to face the most outrageous face-breaking opponents who’ll use sneaky tactics and dirty distractions to knock you out. 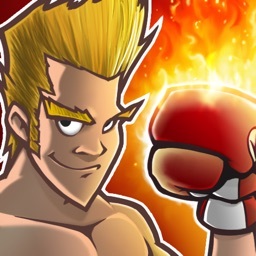 To be the champ, figure out each fighter’s tells, avoid their signature moves, and when the time is right unleash a super punch to knock ‘em out! 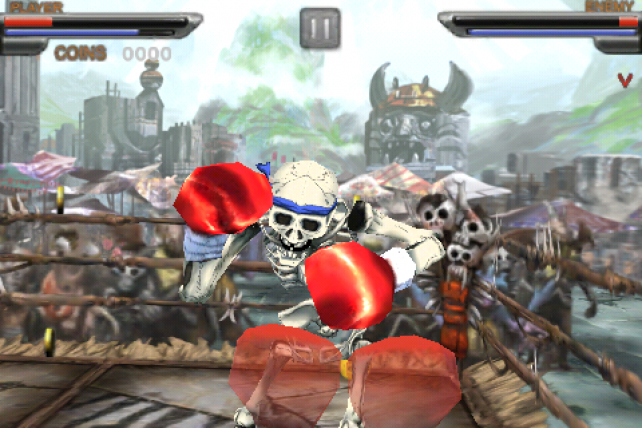 Go toe-to-toe against a cast of bone-crushing boxers with unique moves and personalities including 15 Cent, Shogun, and Ka-Rak Übones. 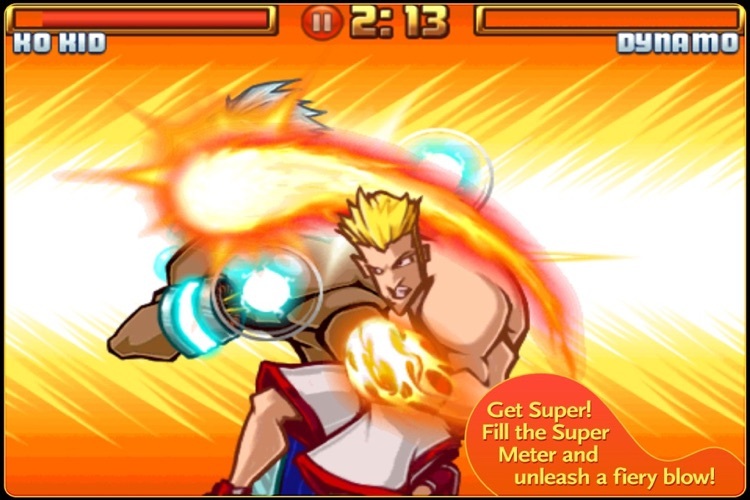 Use quick reflexes to dizzy opponents, throw powerful hooks, unleash flaming super punch combos, and land one-two lightning KO’s. 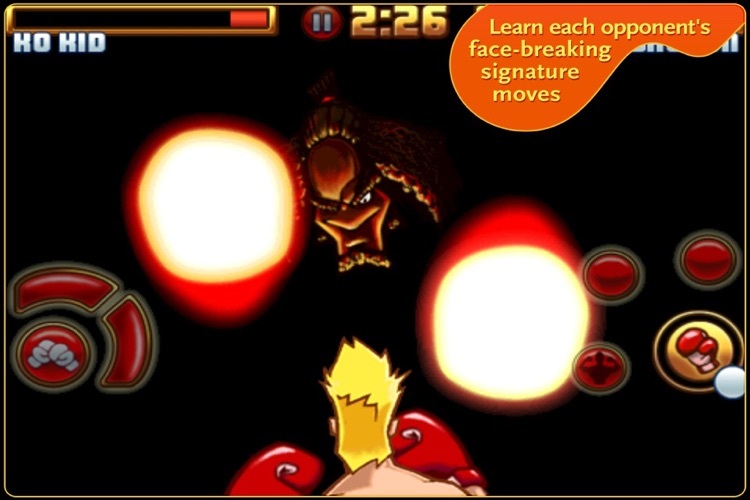 To go the distance, you will need to watch out for opponent’s weaknesses and avoid their signature moves. 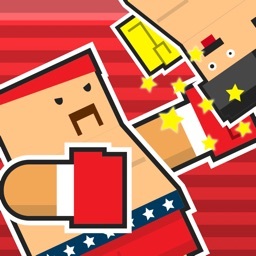 Box your way through 18 bouts across 3 circuits to become the Champion of the world! Would you be able to defeat your opponent if you weren’t able to dodge and couldn’t get hit? Face this and 16 other unique challenges that test your skills. Test your courage to see how many fights you can win without ever getting knocked down against increasingly tougher opponents. For devices with iOS 4.1 or higher, you can now earn your achievements within Game Center and share those with your friends. Are you coming unstuck against some of the trickiest bone-crushing contenders in the game? 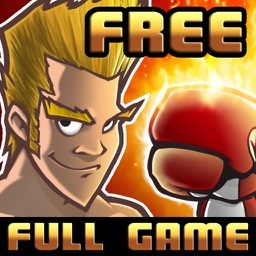 Just purchase a dose of Roid Rage to turn into a monster fighter, with more powerful punches and become almost impossible to take down. 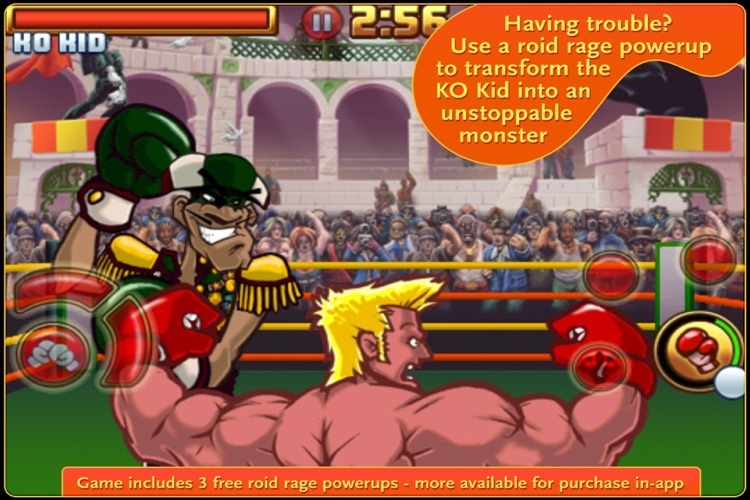 Use your Roid Rage whenever you've exhausted your natural abilities to take down the toughest opponents! Today's AGF list includes a running game featuring Chad Ochocinco, a game where you have to guide a flock of sheep to safety, a hard-hitting football game, and much more. Review: Beast Boxing 3D - No Touching Gloves Here! 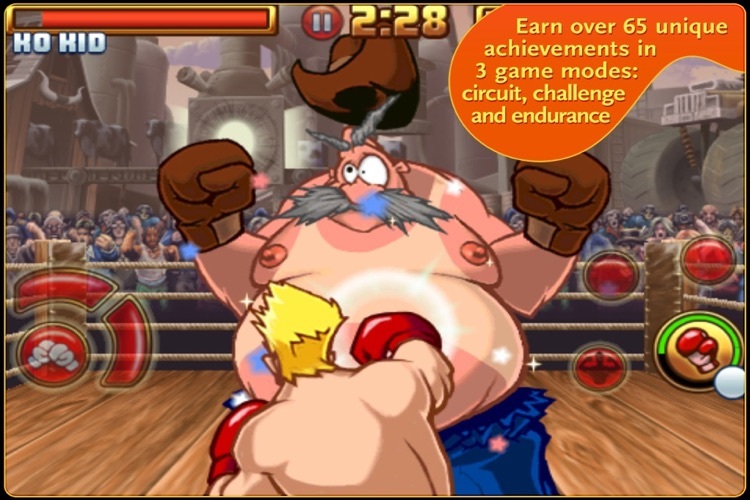 Battle gruesome beasts and climb up the ranks to be the next Beast Boxing champion! 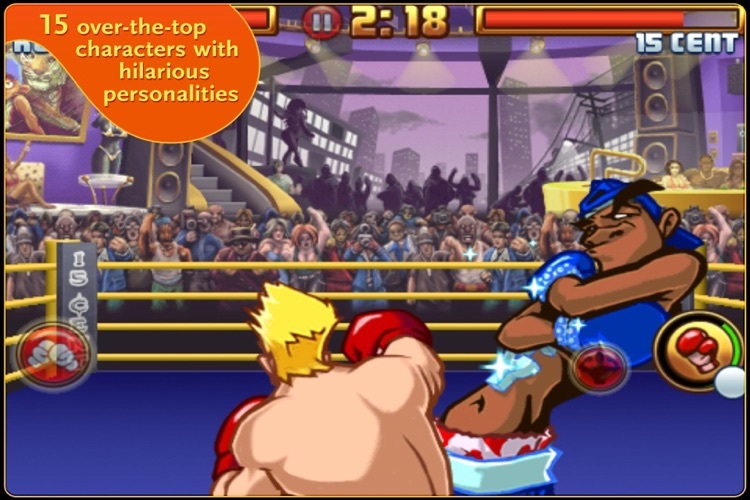 With a familiar fighting system, Punch-Out fans may feel right at home. 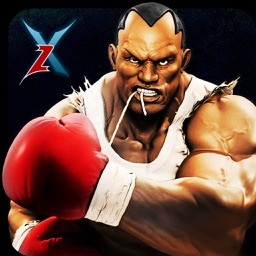 But does this arcade boxer deliver in depth as it does in visuals? Read on to find out!